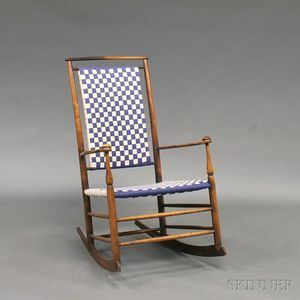 Shaker Production Maple Armrocker, Mt. 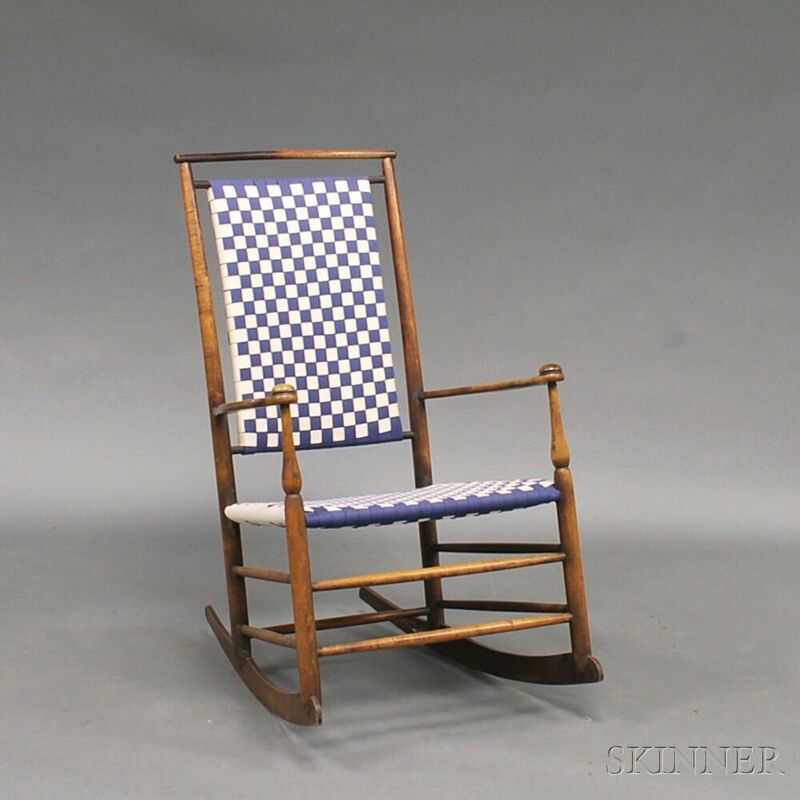 Lebanon, New York, 20th century, with tape-woven seat and back, labeled on inside of rocker, ht. 38 3/4 in. Attributed to John Stanford (American, 20th Century) Cattle Drive. James Gale Tyler (American, 1855-1931) Moonlit Sail.